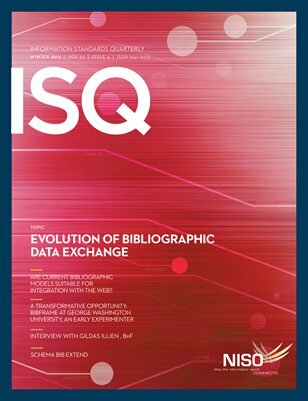 Special themed issue on the topic of the Evolution of Bibliographic Data Exchange. Libraries are in the midst of moving away from AACR2 and MARC 21 to the new world of the semantic web, linked data, FRBR, and RDA. This issue describes the rise of new metadata initiatives to respond to this change and to increase effectiveness in the exchange and management of library metadata and integration into the wider semantic web.